$1,575.00 each List: $2,616.00, You Save: $1,041.00! The Yamaha 32" x 16" Intermediate Bass Drum features Air-Sealed 6-ply birch shells and 10-ply birch/mahogany hoops that provide an excellent combination of strength, durability, and warmth in the sound. 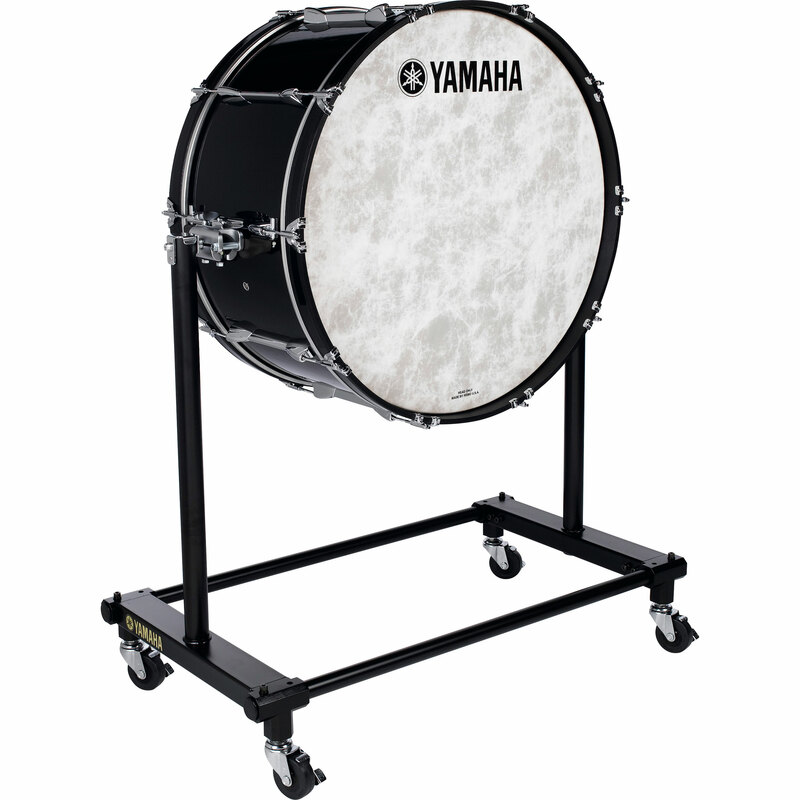 This drum is a great choice for school music programs. High-tension lug casings distribute head tension evenly around the drum, and the tuning key rods allow you and your students to tune without looking around for a drum key - just be sure to teach them that they aren't toys meant to be spun around! This drum comes with a Yamaha BS-7051 Stand that allows you to roll the drum around from the rehearsal room to the concert stage with no issues, while letting players rotate and lock the bass drum into whatever angle they prefer. Powerful, rich Remo NuSkyn heads come with the drum so you can begin to play immediately, and the dark wood stain finish looks beautiful on the concert stage. A protective padded cover is included to protect the instrument when it's not being played.